In order to help you more quickly, please fill out the quick form and submit or call (562) 637-3141. A representative of the firm will call you ASAP. 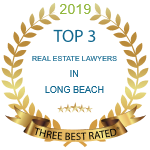 The Law Offices of Michael J. Eyre assists clients in Long Beach and throughout Los Angeles County in the areas of personal injury, business litigation, and real estate litigation. For over 30 years, firm founder Michael J. Eyre has appeared in courtrooms across Southern California on behalf of his clients, handling disputes ranging from breach of contract and business dissolution to eminent domain and zoning matters, real estate finance disputes, and suits for specific performance. In the area of personal injury claims, he handles everything from automobile accidents and products liability matters to cases involving dog bites or industrial accidents. As a solo practitioner, Mr. Eyre handles every case personally and provides his clients with a high level of personal attention. Mr. Eyre takes the time to thoroughly understand the particular concerns of each of his clients, and works closely with them to obtain a favorable resolution as efficiently and cost-effectively as possible. Clients in need of personal injury representation are invited to call Mr. Eyre's office for a free consultation, and flexible appointment times can be arranged for clients who need to meet outside of regular business hours. For professional advice and representation in a Long Beach or Los Angeles County personal injury claim, business dispute, or real estate litigation matter, contact the Law Offices of Michael J. Eyre. The Law Offices of Michael J. Eyre practices personal injury law, business litigation, and real estate litigation in communities throughout Los Angeles County, including Santa Monica, Beverly Hills, Los Angeles, West Los Angeles, Culver City, Torrance, Redondo Beach, San Pedro, Lakewood, Carson, Santa Fe Springs, Cerritos, Norwalk, Manhattan Beach, Los Alamitos, Venice, Gardena, Compton, Paramount, City of Industry, La Mirada, Buena Park, Riverside, Ontario, Pasadena, Alhambra, Burbank, Artesia, Whittier, Harbor City, West Covina, Downey, Huntington Beach, Garden Grove, Westminster.